You hear about these movies by word of mouth or through award nominations, but you don't remember them being shown at your local movie theater. That's because there are only a handful of Detroit independent movie theaters and art houses that show indie, cult, experimental, short, documentary and foreign-language films. The Redford Theatre has been in business continuously since 1928 despite economic ups and downs. These days, the large venue has non-profit status, a three-story grand foyer, 1,661 seats, and a restored Japanese motif. The Motor City Theatre Organ Society ("MCTOS") bought the theatre in 1977 and has been continually raising money for ongoing restoration and renovation ever since. The theater's schedule is mainly made up of classic films. Not only does the Michigan Theater show independent, classic and foreign-language films, it also hosts many events, is a venue in the Ann Arbor Film Festival, and hosts a summer film camp. The historic, non-profit theater has two screens: the 1700-seat historic auditorium and a 200-seat screening room. 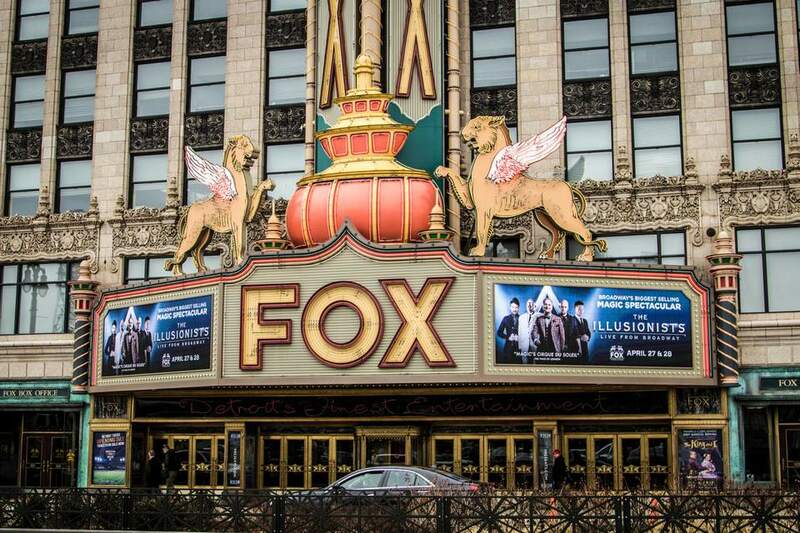 The State Theatre was designed by C. Howard Crane, the same architect who designed the Fox Theatre in Detroit. It has two auditoriums and, sometimes, hosts midnight shows. Its schedule includes independent and classic films. The Birmingham 8 was originally built as a single-screen movie house in 1927 and subdivided in 1996 to accommodate eight screens. It hosts first-run movies and independent films. It also has stadium seating. The Maple Theater, which changed ownership in 2012, specializes in alternative films. The theater has three screens and, after a change of ownership and renovations in 2012, a coffee space in the lobby that often schedules live music. It also has new theater seats with swivel trays, and assigned seating. The theater hosts theme nights like Old Hollywood and Secret Cinema, as well as movie-related events like a sing along to Les Miserables. The theater's concession includes beer and wine. The historic Detroit Film Theatre is located within the Detroit Institute of Arts and has been slowly renovating the seats in its auditorium to conform to the theatre's original 1927 aesthetic. Of course, the new seats will be comfortable as well. The theatre is part of the DIA's recognition of motion pictures as an art medium, and its schedule includes "contemporary and classic world cinema." In addition to independent films, foreign-language films, documentaries, and classics, the theatre hosts a Saturday afternoon Animation Club presentation. The theatre contains the Crystal Gallery Cafe on its balcony level. The Senate Theater is currently operated by the non-profit Detroit Theater Organ Society ("DTOS"). The 800-seat theater schedule is somewhat sporadic and alternates between showing classic films and hosting musical performances. While the Senate Theater dates back to 1926, it fell into decline in the 1950s and eventually stood empty. It was rescued by the DTOS in the 1960s as a new home to the Wurlitzer organ from the movie palace days of The Fisher Theater. A modern movie house with all the latest technology and stadium seating, the AMC 20 in Livonia often includes limited-engagement and independent films as part of its "commitment to advancing independent film." A modern movie house with all the latest technology and stadium seating, the AMC John R 15 includes an occasional independent film as part of its schedule. Note: The Theater now has reclining seats available. The Penn Theatre originally opened in 1941. After closing in 2004, it was reopened through the efforts of a non-profit organization and local businessmen. These days, in addition to its schedule of second-run movies, the non-profit, historic theatre also showcases classic and independent films. The auditorium contains 402 seats. The 1940s-era theatre is located in the heart of Royal Oak. These days, it has been subdivided to provide three screens. The theatre's schedule includes independent and foreign-language films, as well as the occasional mainstream film. It also hosts a midnight-movie series in the summer months. The Mitten Movie Project is a festival of sorts that brings independent short films for screening on the first Tuesday of each month. Its venue is the Main Art Theatre in Royal Oak.